Torch Middle School and Edgewood Academy students presented projects on building and launching their own rockets during the Citrus College 3-2-1 Blast Off! Symposium on March 16 at Citrus College’s Innovation Center. 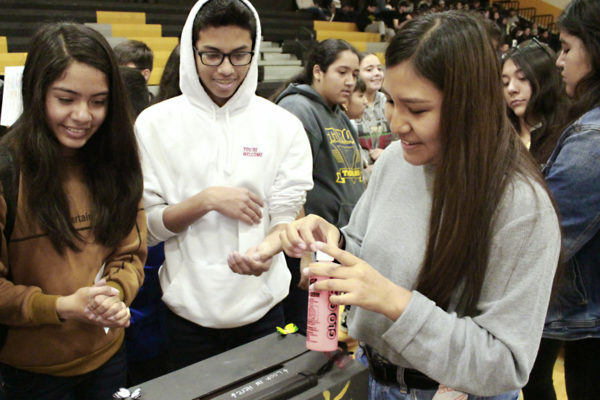 The event, which included awards for the students, capped a program launched in fall 2018 in which Citrus students mentored Bassett students on aerodynamics and rocketry. Bassett Unified held an Oath of Office Ceremony on Dec. 11 for returning Board of Education members Dolores Rivera and Paul Solano and newly elected board member Patrice Stanzione. At an organizational meeting that followed, Rivera was appointed president for a fourth consecutive term, board member Natalie Ybarra was appointed vice president and board member Armando Barajas was appointed clerk. 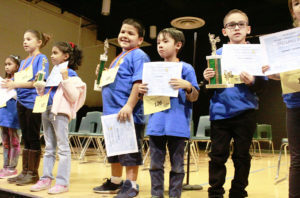 Students from Bassett Unified’s elementary, middle and high schools will compete in a District science fair from 5 to 7 p.m. Thursday, Feb. 21 at Torch Middle School’s Watanabe Center, 751 Vineland Ave., City of Industry. Students in grades three through 12 qualified for the contest by placing first, second or third in competitions at their schools in January. The event also will showcase group projects created by students in kindergarten, first and second grades. 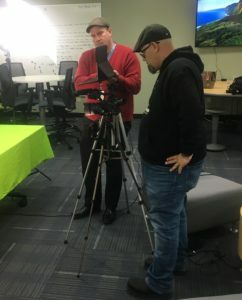 Bassett High School students eager to get a head start on their college careers are benefiting from a new partnership with Mt. 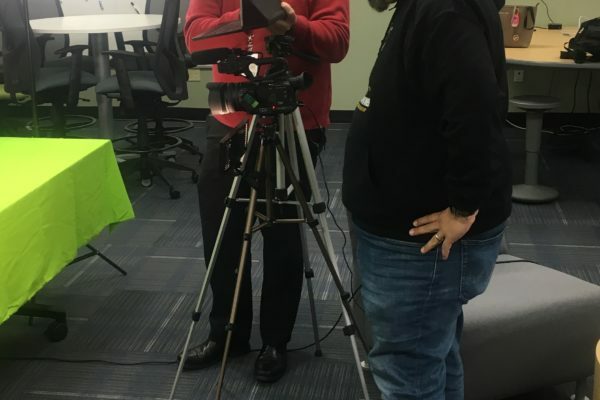 San Antonio College that will allow them to take college-level classes and earn credits as part of their regular class schedule. 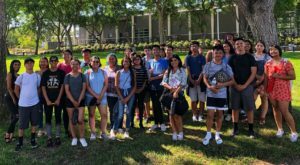 Bassett Unified middle school students are working with mentors at Citrus College to master engineering skills as part of the 3-2-1 Blast Off! Rocketry program, which runs through March. So far, the students have concluded their first lesson in aerodynamics and launched their first rockets. 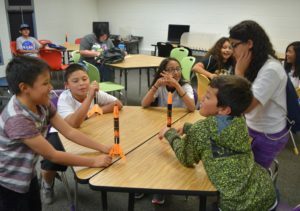 The program includes training in presentations as well as the hands-on rocketry skills. 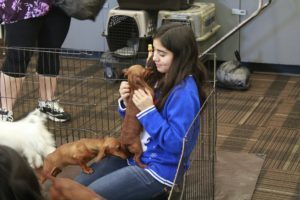 Bassett High School students took a much-needed break from the stress of finals with puppy play during lunch on Dec. 12, visiting with about 15 Dachshund, Yorkshire Terrier and Maltese puppies. 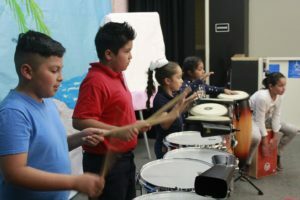 The event was staged by Bassett Connects, a new club focused on supporting student social and mental well-being. 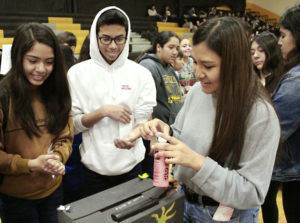 It capped a week of anti-stress activities that included aromatherapy, yoga and meditation.